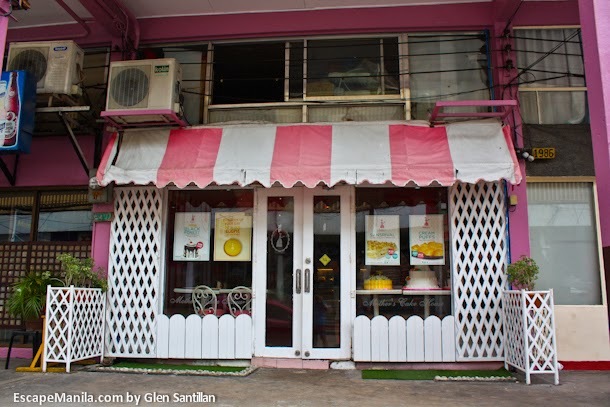 Mother’s Cake House is more than just a cake shop. 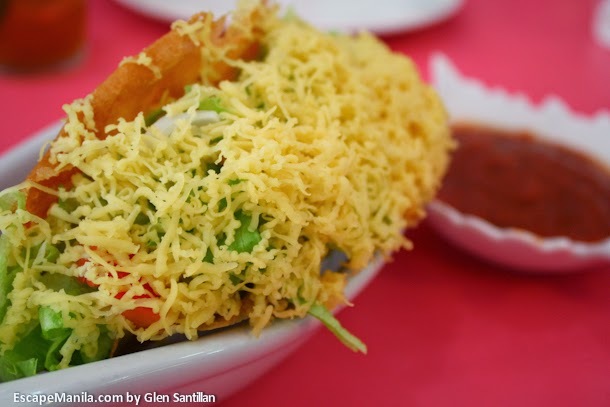 It also offers Filipino favorite dishes and desserts at very affordable prices. It is located along Marlim Avenue, Diamond Subdivision, Balibago, Angeles City. It’s just few steps away from the famous Angeles Fried Chicken. 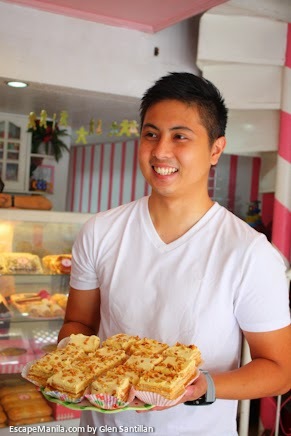 We visited Mother’s Cake House & Resto during the second day of the Metro Angeles Food Tour 2014. 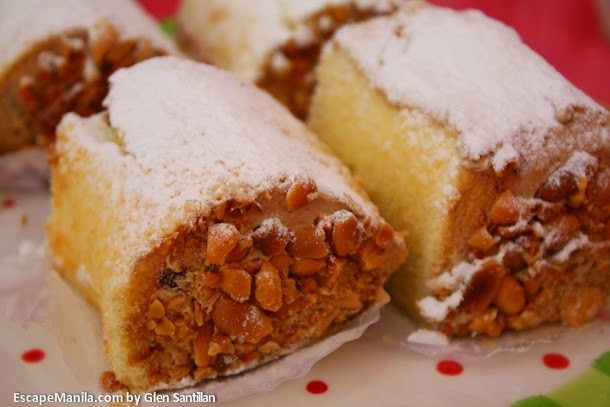 We were so excited to sample their best-sellers especially their famous Sansrival. It was another moment of good food and laughters with the blogger participants of the food tour. They served several dishes and desserts which we enjoyed a lot. Mother Cake House’s taco comes with ground beef, lettuce, tomato slice, lots of cheese, and hot salsa sauce. It’s simple yet delicious. 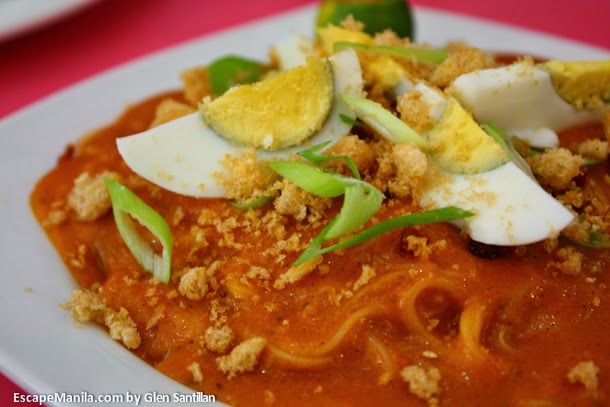 Pancit Palabok which is also known as Pancit Luglug is one of Filipino favorite merienda. It is a noodle dish with shrimp sauce and topped with various ingredients such as cooked shrimp, boiled pork, crushed pork chicharon, tinapa flakes, fried garlic, boiled eggs and spring onion. Their version is one of my favorites. The taste is perfect and the sauce is not too thick. One of the best baked mac I have tasted. The pasta was cooked just perfectly and the sauce and the melted cheese on top made it more delectable. 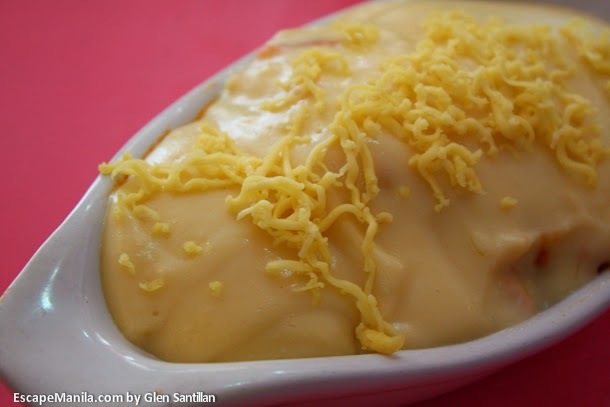 It was really delicious, you should try it when you visit Angeles City, Pampanga. Their butternut roll was good but not my favorite. I like that it has lots of nuts in it but I was just craving for something else. It’s the usual banana cake. Coming from Davao, the banana capital of the Philippines, I must say it was just so-so but it was good. 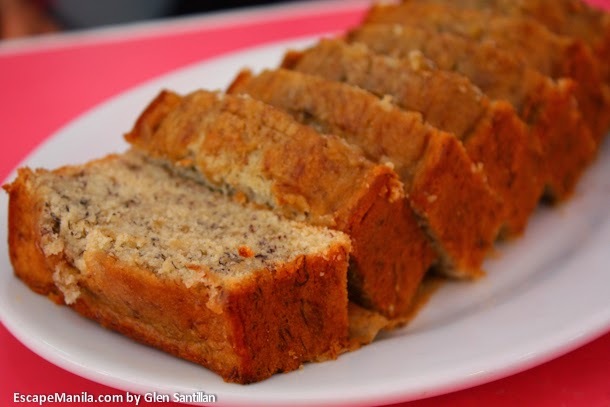 Maybe, I’ve already eaten a lot of banana cake from everywhere in Davao so I find it usual. 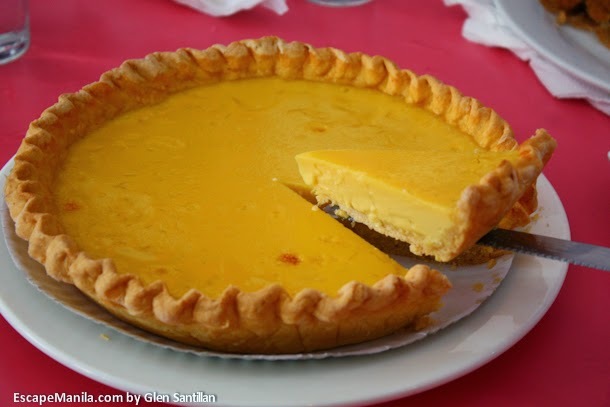 Oh, I love their egg pie! It’s not so sweet but it’s yummy. It looks yummy and it tastes delicious. It’s very affordable to satisfy your sweet tooth. 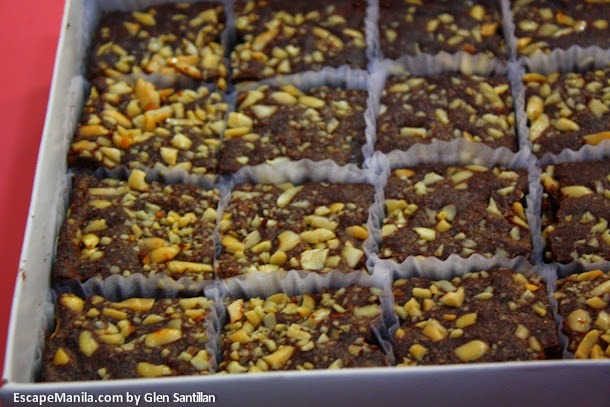 These brownies are rich, full of chocolate flavor, fudgy and the nuts on top added texture to it. 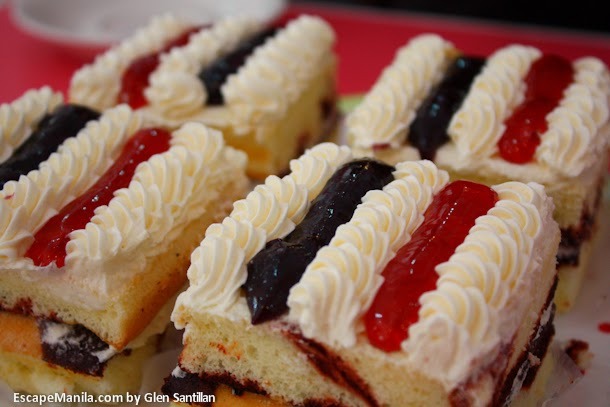 Another best-seller dessert from Mother’s Cake House is their Sansrival. 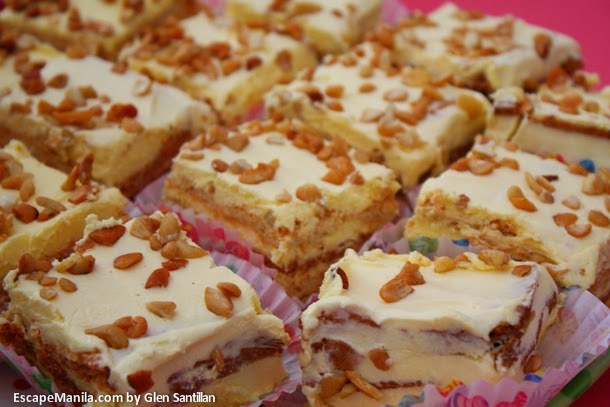 Sans Rival is a Filipino dessert which is a layer of buttercream, nutty and crunchy cashews, and chewy and sweet meringue. At P25 per piece, I’m sure you’ll enjoy it as much as I did.